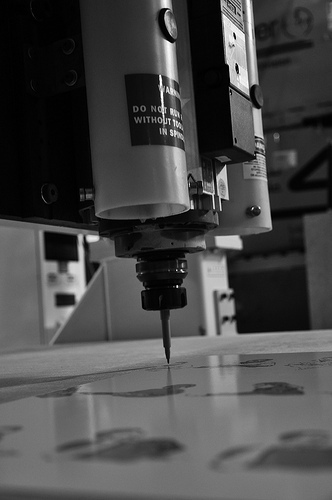 The members of projectione recently utilized the 3 Axis CabinetShop 45 CNC Router at Associated Fabrication in New York to create several cool projects. About QuickCut: QuickCut is available on all Thermwood CabinetShop series machines and offers the fastest, easiest and simplest possible way to make custom cabinets. Everything is done right at the machine. You don't need separate computers, design software, networks or anything else other than the machine. This video demonstrates the Fravol edgebander. The model # is a Smart SX8. 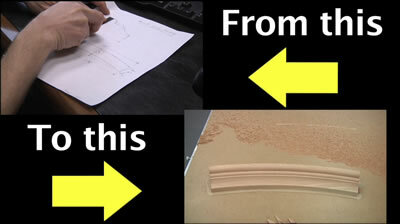 The SX8 can process up to 3mm coil banding using veneer, melamine paper, PVC/ABS and strips up to 12mm (.472") thick. The machine is equipped with a quick release glue pot, end trimmers, top/bottom trimmers, Patented Syncro Corner Rounding Unit, and more. Thermwood imports the Fravol line of edgebanders from Italy. The corner rounding unit is a patented item that requires no separate set-up or adjustments to finish different profiles on panels.